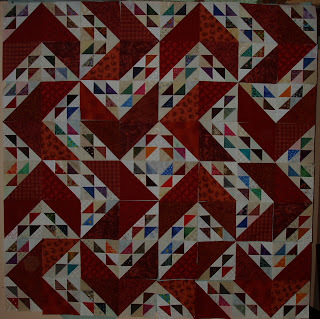 Pinwheels are a very popular motif in quilting. They tend to show up in many traditional patterns. The two designs shown today are reverses of each other. The individual blocks have been rotated 180 degrees. 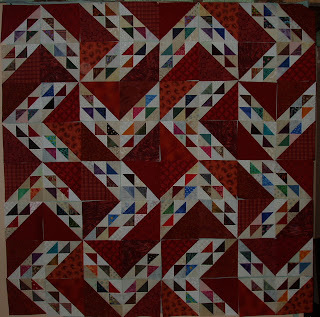 So, the areas that appear light in the first quilt, appear dark in the second. Personally, I prefer the second variation.